We took a break from Planvember today and made sparkly Christmas journal pages! 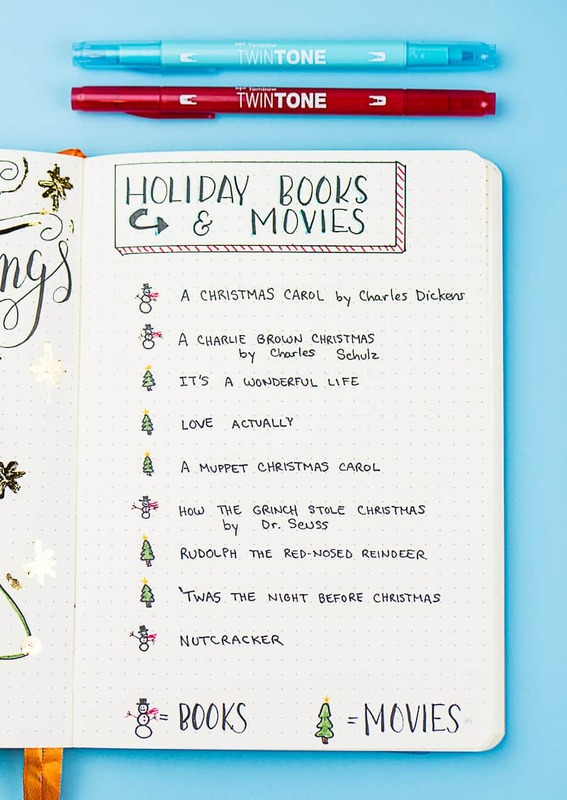 These pages celebrate holiday movies, books, and all my favorite things. Did your favorites make the cut? Welcome back to my Planvember 2017 series! I took a break last week for Thanksgiving, but I’m back and ready to crank things up notch! Instead of finishing my 2018 journal prep I thought it would be fun to make a couple of Christmas journal pages. It also gave me the perfect excuse to break out some fun decorating supplies. 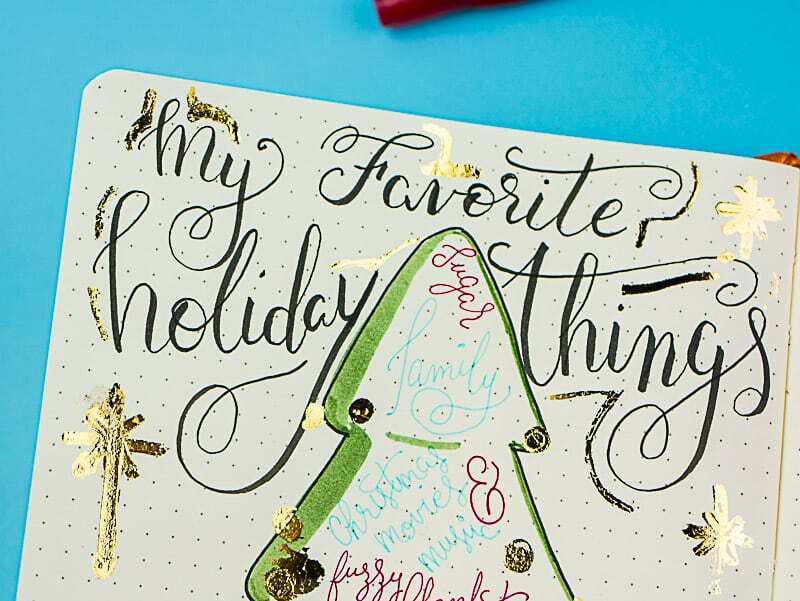 Regular planning tends to be relatively practical, but holiday pages are the perfect excuse to go wild! The blue ink didn’t show up very well in the photos, but I’m pretty happy with how it looks in person. 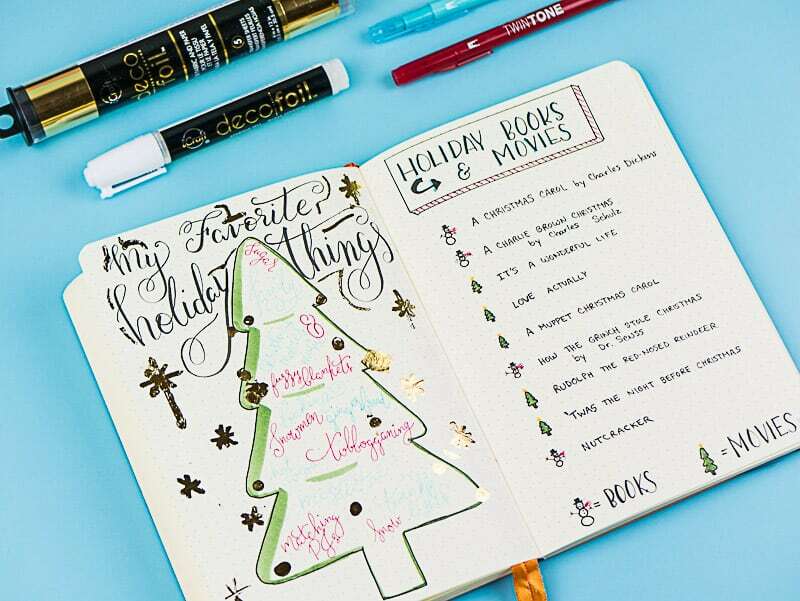 I used red and blue Tombow TwinTones to jot my Favorite Things all over the outline of the Christmas tree. Just for fun, I added some glitz to the page with Deco Foil. It takes some practice to get the application just right, but it’s such a pretty effect, you can’t really mess it up. On the next page, I made a simple list of books and movies to enjoy during the holiday season. I could have filled five pages! There are so many beautiful stories to enjoy this time of year, but I exercised a some restraint and stopped at one page. You all had some awesome favorites to share during the live session, so make sure you comment below to share them in this post, as well. Check out the full supply list and video below! You get a realistic idea of how much time to set aside for journaling. It can be frustrating to watch the “YouTube Magic” happen in 10 minutes, only to find out you need an hour to recreate the page. You get the real deal with my live videos. You can ask questions and give suggestions. It’s more fun to interact with you live! Scroll down to watch the video. 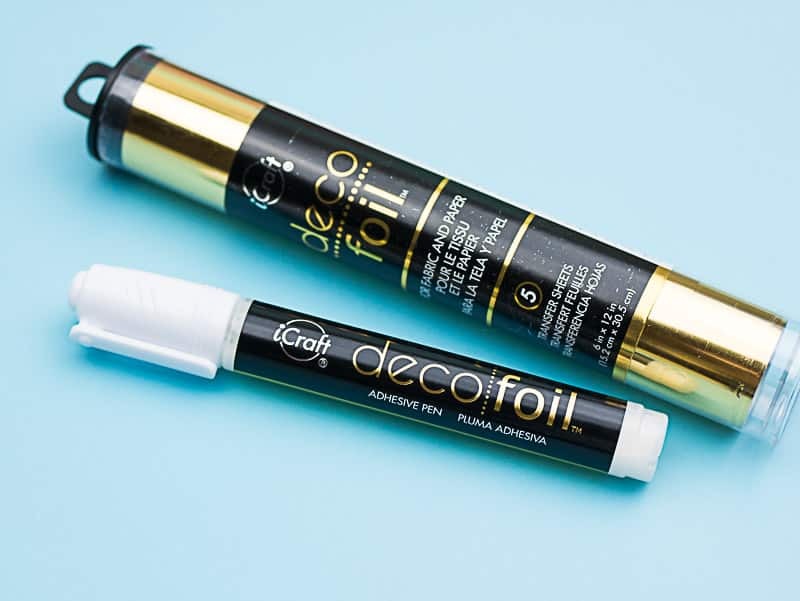 As promised, I’ve included all the links to supplies below for your convenience. When it comes to supplies, I usually think it’s best to start with what you have. Supplies aren’t as important as how you use them! I share what I use, but feel free to experiment on your own. 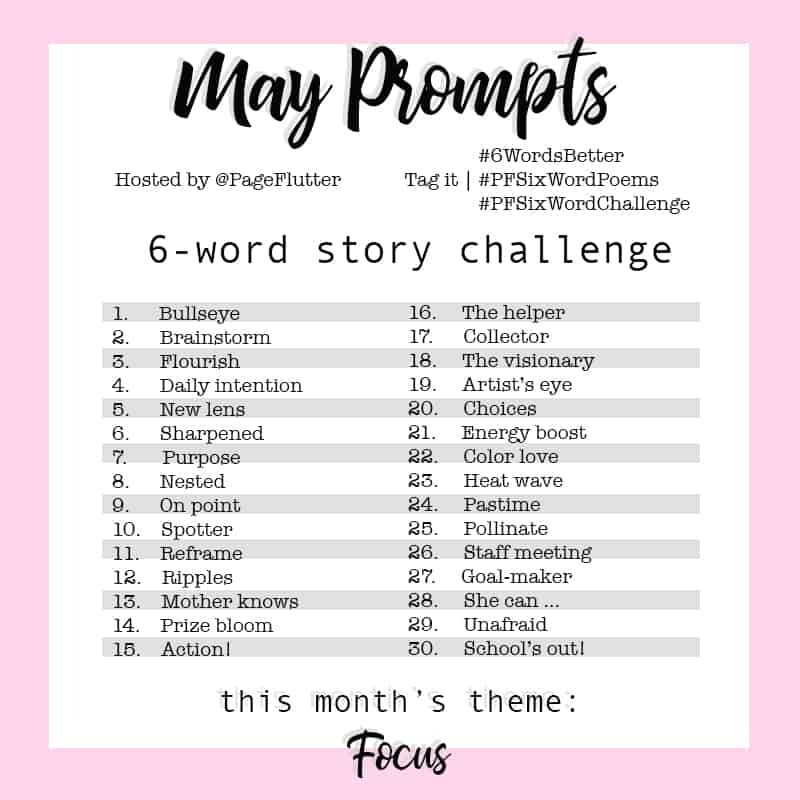 **My book of creative journaling ideas! 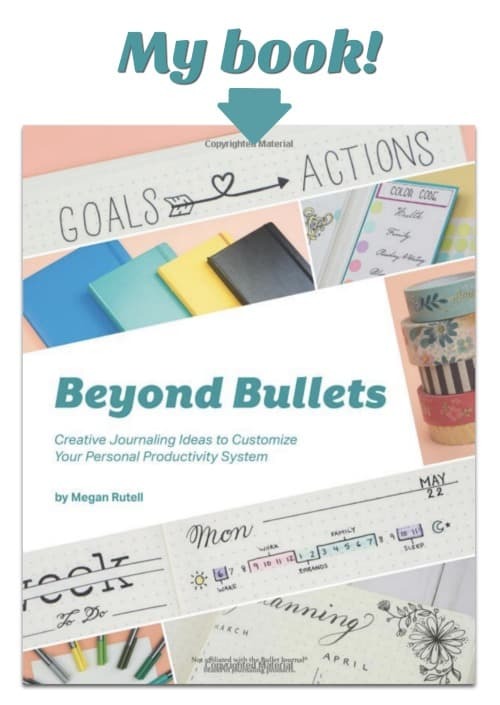 Beyond Bullets: Creative Journaling Ideas to Customize Your Perfect Productivity System. Rhodia Goalbook: Available on Amazon and JB Welly. Tombow TwinTones: The planner pens with dual tips. Tombow Brush Pens: larger dual-tips, popular with hand-lettering artists. Go to the Planvember section of the website for a list of all posts. Each post contains the video for the day and any helpful links we talked about. Did your favorites make the cut? I want to hear about your holiday and Christmas journal pages. Comment below to share your holiday favorites and traditions. and FREE access to resources in the Vault! Don’t worry, I only deliver the good stuff. No spam. 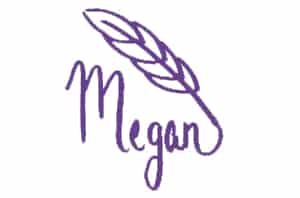 Megan Rutell is the blogger behind Page Flutter. She's also a writer, stationery lover, Air Force veteran, and homesick Colorado girl. She currently lives in Japan with her husband, 3 boys, and a fat cat who rules them all.